Predicting elections in Ghana is a mug’s game. Opinion polls and exit polls differ widely from one another, and from reality. Voters simply do not tell the truth to pollsters. Our prophets and prophetesses have made the game more complex with their intermittent prophetic revelations. When one polling agency asked a voter whom he would vote for, he replied, “Why should I tell you? What will get out of it? So, predicting elections has become an entertainment rather than serious analysis. This was what I said to my soul after reading the open letter to John Mahama on his chances in 2020. Now that forecasts are seen not as not serious test of skill, but a fodder for everyday conversation, all will join the crowd of astrologers that is the danger. The truth may indeed be bitter but then , it must still be told for the truth is the right medicine we must shallow to be cured of the typhoid of our own conceit, delusions and self aggrandizement. I have been monitoring the NDC internal politics and based on what we witnessing, one can rightly conclude that the Party folks will not commit the mistake Ghanaians committed in 2016 (The try me phenomenon). In fact, attractive as it might seem, no position could be more politically naive and unwarranted. None of those angling for power would appear to have the capacity to actually defeat Nana Akufo-Addo and in any case, the idea of trying someone else has already backfired on us with the monumental failure of Akufo Addo himself, has miserably proven to be. Indeed, it would appear that whomever we try in this country, we end up regretting it. Well, instead of gambling any further with the chances of the NDC in 2020 and with the destiny of an entire nation, I would propose that we try what we have already tested before and therefore someone from whom we can be sure of what to expect. So, come to think of it, why not John Mahama. Quite a few pundits had predicted that Ghanaians would come to rue their choices of Akufo Addo and his change we are all now desperate to change. On their part, the likes of Rev. (Dr). Elvis Antwi Boasiako had opined that Ghanaians would come to regret their rejection of John Mahama. Indeed, for all his shortcomings, it is becoming clearer by day that John Mahama is one of the best Presidents we have ever had in Ghana. He tolerated dissent more than his successor and otherwise adhered and respected the tenets of democracy more than his successor. 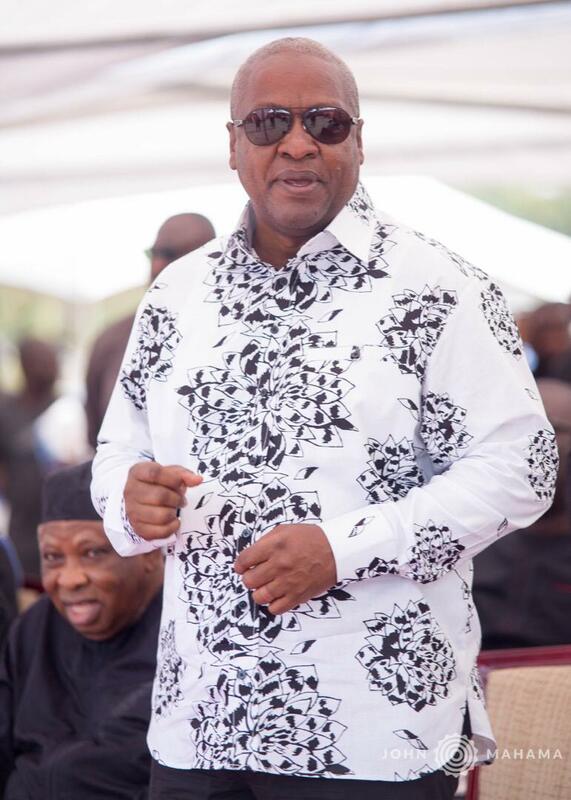 Mr Mahama also built more roads, and executed more projects his first two years than his successor’s first two years. What’s more, even for the regions that largely rejected him for Akufo-Addo, Mahama ended up giving them more projects than any other president including those from the regions (Npp strongholds) who were before or after him. Be careful whet you wish for and it is perhaps fitting that having rejected the best friend they ever had. His faults aside, President Mahama was ultimately a victim of heinous disinformation, shameful spin and dastardly lies told by the opposition. He alongside his former boss, Professor Evans Atta-Mills, are arguably the most normal Presidents to come to power in this country. Whereas, due to his untimely death we may never know the ultimate pedigree of Prof, history should always judge him kindly as one of the finest gentlemen to come to power anywhere in the world. As for Mr Mahama, whatever the naysayers may say, he is already a colossus of world history. While most Ghanaians are already salivating in anticipation of the post-Akufo,-Addo era come 2020/21, we have as usual not really averted our minds to the feasibility of any of the current NDC Presidential aspirants and presidential hopefuls of the other political parties being able to actually upstage Akufo Addo. In fact, the fundamental problem of rescuing our country from the lying and clueless rabble of the broom-wielding National Patriotic Party (Npp), is to fight against power drunk Akufo Addo with a clear, viable and feasible likelihood of defeating him. I can assure Ghanaians yearning for change, Ghanaians who have lost their jobs, jobless nurses that trusting any of those with their hat already in the ring to do the job is irresponsible wishfulness of the highest order. I am not a member of the NDC, I am not a Mahama’s campaign team, I have never met him in my life but based on few information gathered from very reliable sources I have concluded that – whatever might have been the fault of John Mahama, he must have thoroughly, painfully and indeed, regrettably learnt his lessons by now. Come 2020, we could therefore reasonably look forward to a rebooted John Mahama will all his wonderful good points accentuated by the benefit of reflection in his four years out of power and his fault corrected by the lesions of his defeat, last time around. The President and his party know that they have no way to compete with John Mahama in 2020 as far as projects, policies implementation and good governance are concerned nor can they question the achievements of John Mahama his four years. Therefore, the only thing they can do is to change the narrative completely and what’s the narratives going to be? All the previous allegations, the lies have been exposed. The name calling, fake projections and polls are not getting the voters to change their mind. If Nana Addo’s performance is abysmal, so be it. John Mahama is far far ahead of Nana Akufo-Addo when it comes to governance. In fact, Nana is going through leadership challenges because of the standard his predecessor set. He is the luckiest President when it comes to projects, funds and policies he inherited but the unluckiest President in the history of Ghana when it comes to inherited governance standard. The Mahama standard is making things difficult for the Ghanaian leader. Mahama used 84 ministers to deliver the many projects including the hospitals, schools, roads, chp compounds, transformed the communication sector, distributed free fertilizer and seedlings, expanded our ports, provided water, solved our power crises and made Ghana a power hub. He made sure his appointees caught in corrupt deals were punished. He focused on what he considered to be more important issues, such as human schools, water. Hospitals etc. Ghanaians did not vote for endemic corruption, bureaucratic bloating and a stagnating economy that this administration has imposed on us. Akufo Addo’s relentlessly positive spin may energise his supporters, but statistics aren’t necessarily on his side. Ghanaians are will go over what he told them vis-a-vis what the witnessing. Appointing his family members into his government, the scandals, the arrogance, institutionalization of corruption in his government (The bost scandal, the Bond, the cash for seat, selling of state lands to cronies, the Kelni GVG contract,), breaching of our procurement laws.